With the debate over copyright reform heating up both in the U.S. and abroad, copyright owners have been filling out their lobbying ranks. On Tuesday (7/16) the Motion Picture Assn. of America named former Democratic House staffer Shanna Winters to the new post of senior VP of global policy and external affairs, reporting to Michael O’Leary, senior executive VP of global policy. Winters spent eight years on the Hill, most recently as the Democratic Chief Counsel for the Foreign Relations Committee. Before that she was staff director for the House Judiciary Subcommittee for Courts, the Internet and Intellectual Property. The MPAA has its hands full internationally these days, where it’s trying to hold the line against a global push to carve out greater exemptions to copyright, but has suffered some significant setbacks of late. Winters contacts at both the Judiciary and Foreign Affairs committee should come in handy as copyright reform has become a flashpoint in a growing number of trade negotiations. 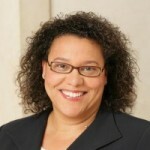 Also on Tuesday, NBC Universal named former White House deputy counsel and deputy assistant to President Obama, Kimberley Harris, as its new executive VP and general counsel, where she will be responsible for coordinating NBC-U’s global regulatory and legislative agenda. Former general counsel Rick Cotton, who announced plans to step down in May, will become senior counselor to NBC-U on IP protection. Given recent strains in Hollywood’s relations with the Obama Administration, including the MPAA’s needless dis of White House Intellectual Property Enforcement Coordination Victoria Espinel this week when it dismissed the new “best-practices” program adopted by online ad exchanges for combating online piracy as “not sufficient.” Espinel’s office helped coordinate the drafting of the program, which was announced on the White House web site.